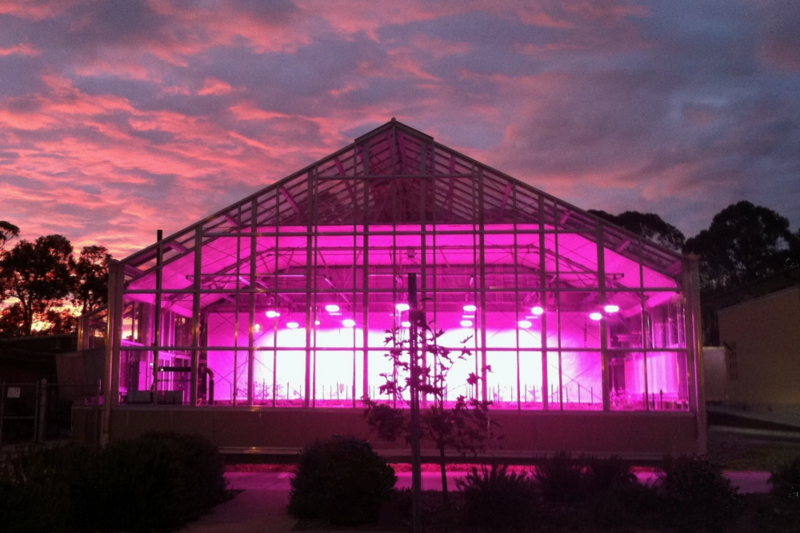 Thanks to a TGIF grant, LED lighting was installed in UCSB's campus greenhouse. Dozens of hydration stations now dot the UCSB campus, making available filtered water at no cost and reducing demand for single-use plastic bottles. The project was first funded by TGIF. 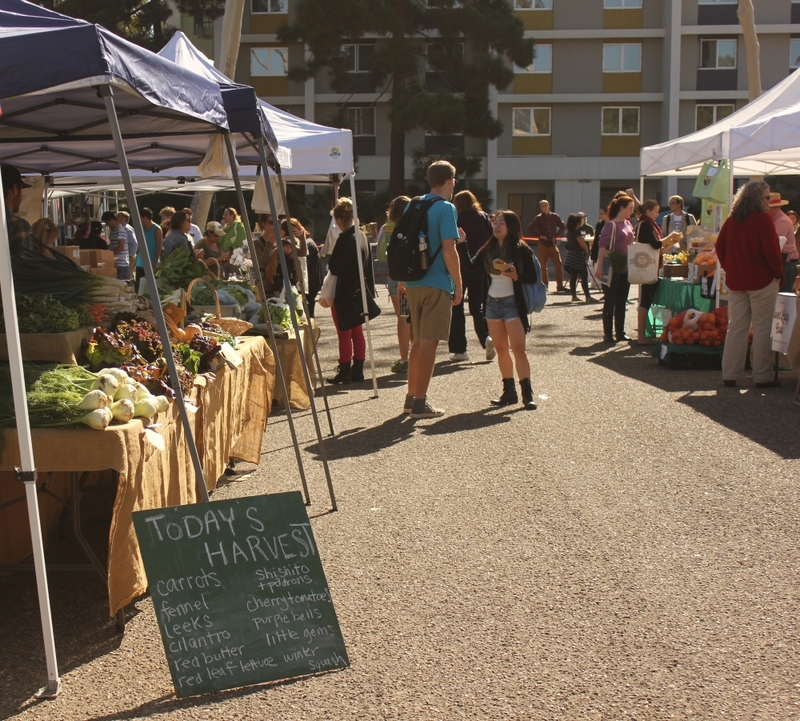 The UCSB Farmer's Market also received original funding from TGIF. Less than the cost of a burrito. When a group of UC Santa Barbara students first conceived the idea for a student-funded green grants program, they agreed the quarterly fee should be less expensive than a lunch run to Freebirds. The price of burritos has gone up since then, but the fee hasn’t: Ten years on, it’s still $3.47 per quarter per student that fills the annual coffers for The Green Initiative Fund (TGIF) at UCSB. Since it first went live a decade ago, TGIF has awarded more than $1 million in grant money for more than 100 student-funded sustainability efforts on campus. Applications are now being accepted for the 2015-16 granting cycle. Over the years, TGIF has launched dozens of notable green advances and helped the campus leverage additional support to extend projects with a larger scope. Take the hydration stations that now dot the campus. 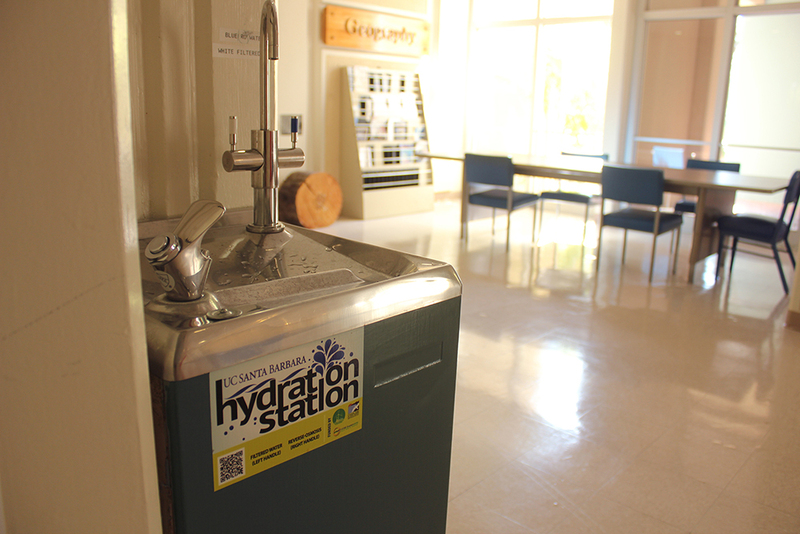 Since the 2011-12 granting year, TGIF has funded 24 such stations, enabling students, staff, faculty and visitors alike to fill reusable bottles with filtered water at no cost. A station at the Recreation Center has hit 150,000 refills; one situated on the library’s first floor is nearing 100,000. With 42 total stations now on campus — additional units were funded by UCSB Housing & Residential Services and the Associated Students Coastal Fund — the project is reducing demand for single-use plastic water bottles and yielding energy savings by eliminating water fountain chillers. The Campus Sustainability Champion program, which annually funds a faculty project that advances sustainability, started as a TGIF proposal. And it, too, has since been adopted as a blueprint for other campuses and the entire UC system, which now run similar initiatives. And coming soon: a solar charging table that will be free for students to juice up their laptops, phones and other digital devices. With up to $170,000 each year to award, TGIF selects winning projects by a voting committee composed of five students, one faculty member and one staff person. There is also a nonvoting advisory panel that provides counsel as needed. The committee receives, on average, 25 applications per cycle and funds some 14 projects each year, according to Snavely. Though projects are not exclusively made up of student efforts, project selection is “definitely weighted toward student proposals,” she said. Applications for the new TGIF funding cycle will be accepted online through 5 p.m. Feb. 5, 2016.